Rottler Plateau Mode loads to proper stone pressure before starting rotation and counts down number of strokes. Diamonds and CBN stones save money with built-in Crash Protection that prevents tearing up hone heads, stone holders and diamond/CBN abrasives. 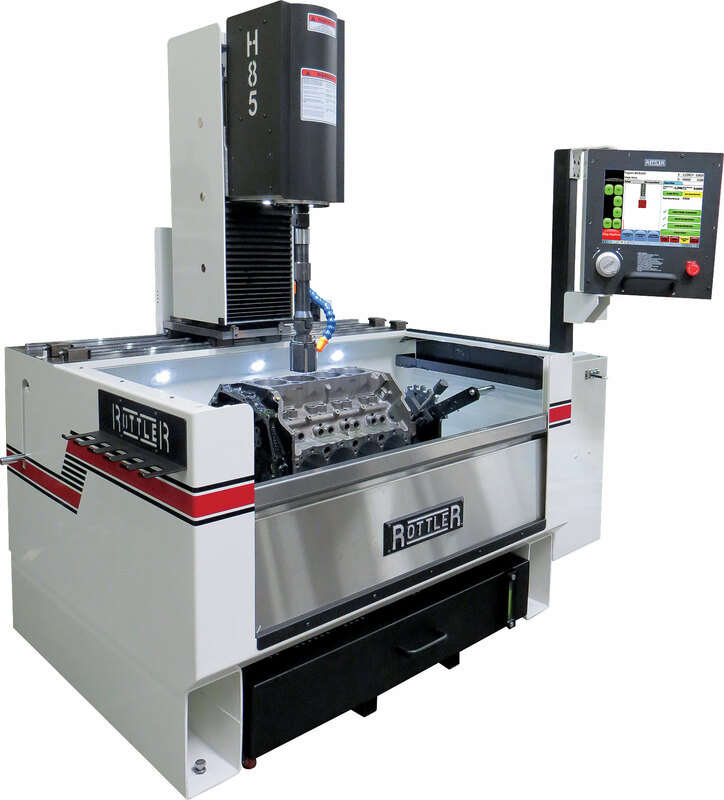 Modern CNC Windows based software with online capabilities. Save time maintaining coolant with superior filtration and roll out coolant tank. * Pay back the cost of the machine in less than 5 years compared to traditional machines using stones and oil. Calculated considering labor saving (using Rottler CNC) and consumable savings (using diamond stones and water based coolant). Automatic Lower Crash Protection System Many Engine Blocks have interference in the lower area of the bores and can damage honing stones and holders. Every time the H85A starts honing a cylinder, the machine will check bores for interference avoiding potential damage to honing stones and holders. Variances in lower bores are common. Rottler H85A Control senses lower bore interference prior to rotation and stroking stroking motion starting at full power, eliminating any stone or holder damage. Automatic Roughing and Finishing Load Sensing System - machine short strokes or dwells anywhere it senses a tight area. Automatic Plateau Brush Finish Program - the machine automatically expands plateau brushes to programmed load and counts down number of plateau strokes, then withdraws the brushes and retracts to the clearance position.